Drag the Water is my all time fav song of Pantera even though it's three years older than me. I love and live for old school rock. Sweet video! But wheres im broken & this love?? Drag the waters on everybody! Seriously. This song was made coincidentally when there was a point in my life where I had to look at everybody and take them with a grain of salt. Totally awesome song and video. 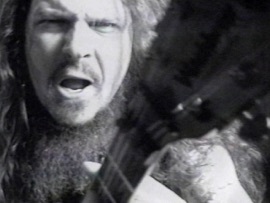 The Great Southern Trendkill is Pantera's definition of "open your eyes and don't be a sheep to society". And that is why it will always be my most favorite album of all.